Hey guys, just wanted to share this quick recipe with you before I go off and make lunch. I noticed this recipe last week while looking through the current issue of VegNews. It sounded so good that I knew I just had to try it. It took me under 20 minutes to make and the custard was ready to eat within an hour. If you like coconut and mango as much as I do, I know you'll love this. 1. In a blender, purée mangoes and ice until smooth. In a large saucepan over medium-high heat, bring coconut milk and agave nectar to a boil. Lower heat to medium. Add agar agar and whisk for about 5 minutes, until powder has dissolved. 2. Add mango purée to coconut-milk mixture. Remove from heat, pour into serving dishes, and refrigerate about one hour before serving. that looks awesome. i guess i need to take a better look at ny vegnews magazine, as I did not see that recipe. Ahh I guess I worded it wrong. I meant to say it was under their 'What's Cooking' on their website currently. Sorry for the misunderstanding. looks so lovely!!! 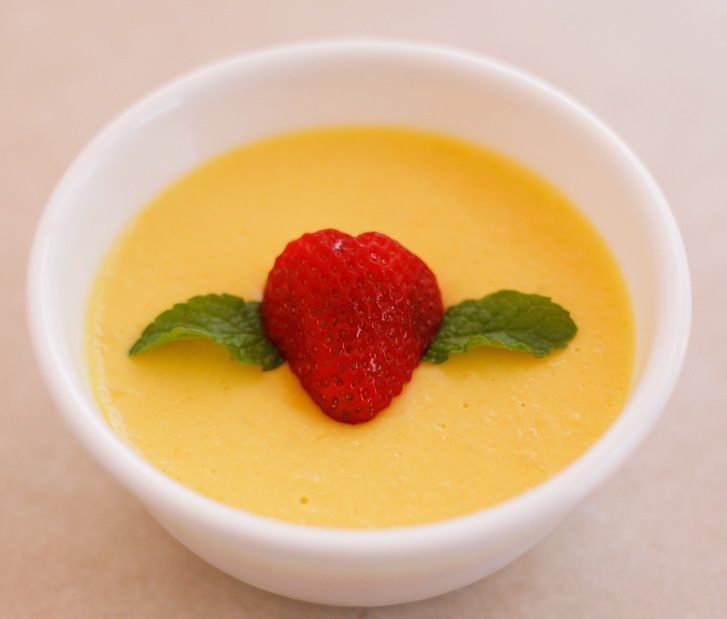 and i looooove mango pudding. Let me know how you liked the basil/cilantro when you make it! what's the purpose of the ice? and I have some canned mango puree, how much puree do 2 mangoes make? thanks!